A stage is set for magical girls, supernatural battles, and lingering dreams as high school student Hinako Shiari, after a tragic accident ending her ballet career is granted the powers of a Reflector, a magical girl. Together with the citrus sisters Lime and Yuzu that bestow her with this new found lease on life, her goal is to defeat creatures known as Sephira to grant a seemingly impossible wish. As someone who has consumed more than their fair share of the magical girl sub-genre through an unfiltered diet of anime and manga and has enjoyed the content for its expressive themes and seeing cute girls stylish vanquish foes in frilly costumes, it is always a delight to stumble upon that which strays from common conventions. 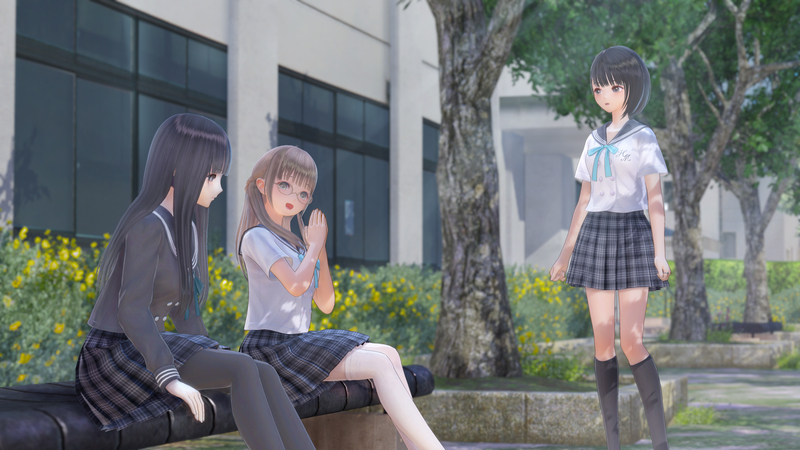 With such selections that actually deliver few and far between, developer GUST’s latest outing with Blue Reflection captures the classic trappings of the genre, while attempting to imbue its own personal touch. With Hinako looking to balance her ordinary life with that of her new identity, most of the action and trouble is not from the battles in the dream realm, but from reality. Becoming reserved and distant after her leg injury that keeps her away from ballet, Hinako has given up on most things. However, with chance encounters from fellow students dealing with their own misaligned demons and Hinako lending a hand, she does become attuned with her own desires and the feelings associated before the accident. Spanning over 15 chapters, most of them take on the form of slice-of-life vignettes that focus on a particular girl and trying to work through the issues and hangs up plaguing them. The format is certainly weird and would work better for anime, but since most chapters during the story portion can be completed within 45 minuets, I actually prefer it for brevity and the chance to move things along quicker. Regardless, the storytelling is serviceable as a whole for it is and very much fits into the temperament that most familiar with GUST will probably find no fault in. That being said, the tempo of gameplay on the other hand is where the contention might lie. 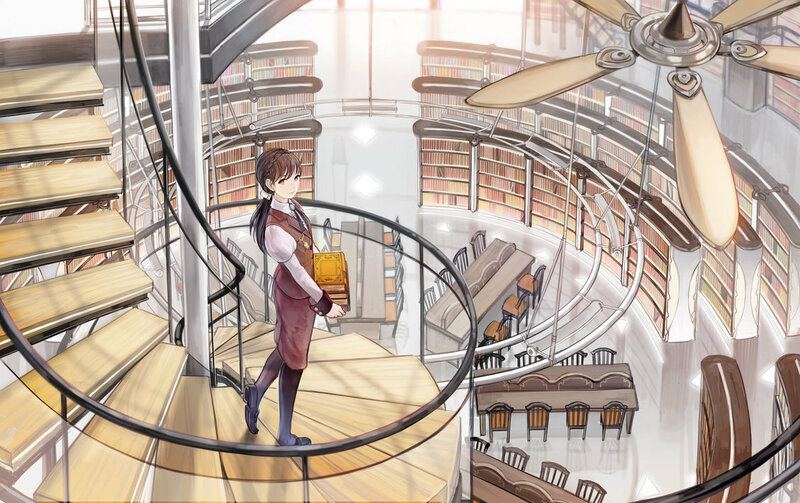 The flow of gameplay is very similar to the Atelier series, Atelier Shallie in particular where the game is divided into a main objective for the chapter and able to begin the next once a number of points have been accumulated from side missions. 90% of the game is spent on character interactions, which if you enjoy that type of approach will have no qualms over. The main issue is that outside of the interactions and missions there is very little else to do. Events you can get with any given character are locked, so unless you are at a certain junction in the storyline the events won’t happen. Granted that most the characters are not as fleshed out or likable as they could being another sore spot, seeing events from favorites (Shihori for example in my case) will mostly not happen until you are much further along in progression and probably when you’re eager to reach the ending. Of course, quest are not much better – composing of the same repetitive task each chapter such as: “Defeat this enemy” or “go to this location”. Mindless as most of the task can be, they are very easy to complete so you can proceed to the next chapter without a fuss unless you been neglecting them that will bump up the number you have to complete in order to move on. I wish the progression system was handled more elegantly and they did divvy up the events in a more balance matter, especially since you are not going to be doing much else until missions are dealt with. Another deficiency would have to be with combat and the battle system: fights that are too easy and mechanics that are too easy to abuse. Much like the aforementioned Atelier series, battles are turn-based and really don’t take much to wrap your mind around. However, instead of traditionally leveling up to get new abilities and boost stats, you use growth points gained from quest to achieve this. With only 3 characters to choose from: Hinako, Lime, and Yuzu can play different roles in combat, yet the girls are able to learn some ridiculously overpowered moves meaning…well, you probably won’t care about strategy and go for hitting the enemy for the most devastating skills at your disposal. The giant Sephira battles, the bosses of the game do offer more of a challenge, but not by much thanks to systems like Overdrive (allowing you to attack multiple times at double the damage output) and the ability to add different fragments to your skills (modifiers that you get from the supporting cast) – that again, keep you far from the possibly of losing. Even without taking full advantage of the mechanics, I never came close to seeing a game over even on the toughest difficultly and would have to lose on purpose – which is the only difficulty thing in the game. Nonetheless, as easy as fights are, the giant Sephira battles are cool since you do get to use all the supports you made and really fires you up as the girls cheer you on and the music blasts in the background. With this being another one of GUST’s projects to be cross-developed for both Playstation 4 and Vita, the graphical quality certainly reflects it. Background and foreground environments look dull and unimpressive, but character models seem to benefit the most from the engine despite not looking that much better. Being appreciative that the developers still do try to cater to its audience on the portable front, the game really doesn’t benefit in the long-term (especially consider most the English-speaking market is getting a PC release in its place). The soundtrack is a weird arrangement: going from soft, somber piano interludes doing the school life events to a strenuous dubstep style doing the aforementioned major boss battles. It definitely veers off course from the traditional tracks found in previous titles, but does work despite being easily forgettable. 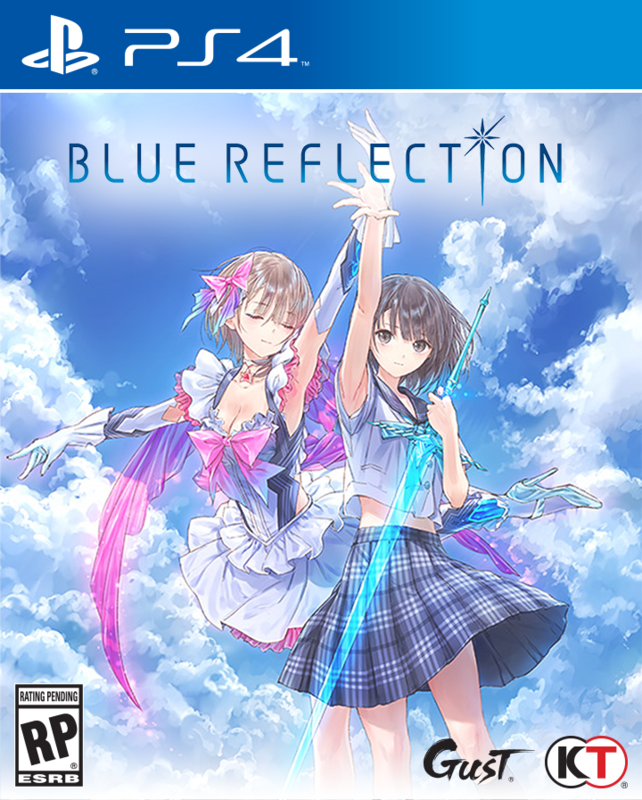 Even though Blue Reflections ends on a rather expected note, there does appear to be room for a sequel and one I would not be opposed to seeing as long as some of the weaknesses are addressed from this entry. However, as it stands now, I do wholeheartedly agree that there is very much that can be done to improve this version just as they improved Nights of Azure with its sequel. Difficulty to say or tell if the developers will continue on with series or leave it as a one-off, but if it is the latter, I sincerely hope that we do get better than this. Pros: Interesting overlying scenario, support characters introduced overlap the main scenarios theme well, few interesting support characters arcs, brevity of most main chapters, concepts makes for nice change for an RPG. Cons: Overly simplistic battle system/mechanics, support character arcs/stories occur sporadically, repetitive side missions required for progression, nothing of substance between chapters, inconsistent terminology, QA for typos -etc. Final Verdict: Being a very unique concept for the genre, Blue Reflections nets points for creativity, themes, and characters, but when it comes to solidifying into a workable and enjoyable project is where things fall apart. Only recommend to those that like the concept or want to try something slightly different from the developers catalog. It looks like a game I would enjoy despite it’s setbacks. Its plot and cast all look delightful and I don’t mind simplistic gameplay as long as the story and characters are interesting. This game is up my alley.